This warming turkey leg recipe from William Drabble flavours the turkey meat with a piquant Pommery mustard sauce. If you can't get Pommery, good quality wholegrain mustard will work just as well. 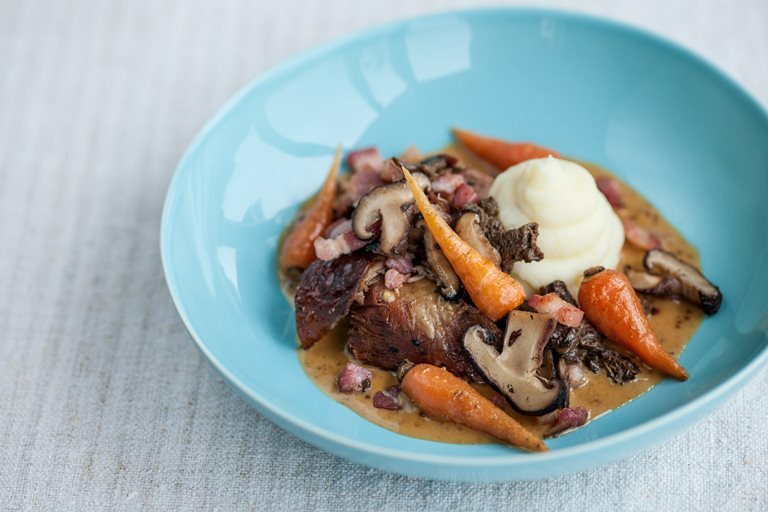 Pancetta and mushrooms add a moreish taste to the slow-cooked turkey, which can be served with some creamy mash or enjoyed with wild rice or brown bread.